The speaker is Richard Buchanan, distinguished American design professor and co-founder of the journal Design Issues. The place is the London College of Communication (LCC), where the ‘New Views 2: Conversations and Dialogues in Graphic Design’ conference – organised by Teal Triggs of LCC and Laurene Vaughan of RMIT University in Melbourne – is drawing to an end. Buchanan’s role, as invited observer and éminence grise, is to sum up what has taken place during the last two days. It is an impossible task and Buchanan tells us straight away that he intends to do no such thing. I can see his point. In its programme, structure and insistence that everyone attending take part in the dialogue, this has been the most unorthodox conference I have ever attended. I went along as an observer, intending to review the event, and wound up becoming a participant myself. The official speakers submitted abstracts of the papers they hoped to deliver in the usual way – these texts could be read in the conference handbook – but then all of this personal research was, figuratively speaking, thrown out of the window. Instead of presenting their work, speakers were assigned to one of six thematic groups. Each team’s task was to spend two days in a room together pondering the challenges facing graphic design and the way forward. At the end, they delivered their conclusions to the rest of the conference. Rather than attempting to summarise all this – you can’t be in six places at once – Buchanan treated us to some general observations about the state of graphic design. The conference’s agenda-setting ambitions, as he pointed out, were hardly new. Graphic designers and design educators have been worrying for years about where the discipline is heading, though as he noted, graphic design remains more of a ‘field’ than a true discipline. As Buchanan sees it, the news for graphic designers is mostly troubling. The practice is at a fragile moment, he says, and may not make it through the window. Other people can do what graphic designers do for less money and the interest graphic design generated fifteen or twenty years ago, at the height of its professional confidence, is moving on to other subjects now. Graphic designers have been too insular and egocentric. Graphic design still fails to register as a necessary activity on the radar in key areas of society, even in business. For government (Buchanan presumably means the United States government) graphic design just doesn’t figure. 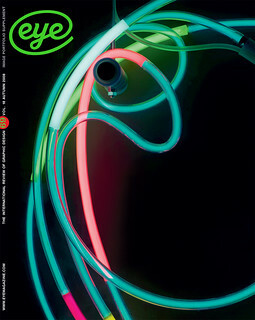 Buchanan was also clear that whatever graphic design becomes, ‘graphic design’ is not the term that will be used to describe it – ‘Why name a field after a printing process?’ While he was no longer interested in what he called the grammar and logic of graphic design, he did offer some grounds for optimism. The window of opportunity was still open so long as designers could articulate a new kind of practice, and this practice – like ‘New Views 2’ – would have to be based on conversation. In Buchanan’s view, genuine conversation, which is to say the free exchange of ideas, has been missing in recent years from both graphic design conference halls and the territory of practice. The main conversation designers need to have now is with their clients. It was a brilliantly assured performance. Buchanan, a specialist in these conference perorations, has perfected the gently commanding tone of the sage, dispensing the unsettling wisdom of his insights to the crowd. ‘The truth begins with two,’ he told us more than once – another allusion to the power of conversation. For half an hour or so, it all sounded pretty unarguable. Buchanan took the conference premise that design is changing quite a lot and trumped it by suggesting that none of the groups reporting back on their findings – the interdisciplinarity team, the research / innovation and new critical thinking team, and so on – had gone far enough. The interdisciplinarians, who wanted to banish graphic design in favour of simply ‘design’ – ‘Graphic design should become illegal. It should not be used as a term’ – were still too cautious for him. Buchanan demanded that (graphic) designers learn the language of everything from nursing to economics. Later, though, away from the charisma of delivery, not all of this seemed quite so convincing. From educators, industry commentators and even students, we constantly hear that graphic design as we know it is somehow over, as though it were no longer possible for designers to do what they once did. My first response to such apocalyptic talk is always simply to look around, and my senses invariably tell me exactly the opposite. There is more graphic communication going on than ever. Yes, there are more platforms for design now, making the activity more complicated as a professional undertaking (and creating, one might think, more opportunities) but there appears to be no obvious diminution in output, even in traditional print areas such as books, magazines, newspapers, packaging, billboards, and every kind of promotional graphic. Whether these forms of design are as good as the best examples used to be is open to discussion. Still, there is no lack of material. ‘Good’ graphic design was, in any case, always the exception. Most city streets are graphically wild places and they probably always will be. Many people just don’t care about graphic design that much. So, if there is as much graphic communication going on as ever, is there likely to be less need for it in future? Short of catastrophe, the answer is surely no. Is it likely, then, that the continuing or increasing need for graphic communication can be entirely met by untrained amateur designers? Here, again, no seems the most plausible answer. This is clearly the real point of contention and cause for concern in any discussion of graphic design’s future framed, as this was, within the institutions of design education. The issue for them is not so much graphic communication – an activity fundamental to modern societies – as the future of graphic designers as a specially educated, tuition-fee-paying group, with an established professional identity and aspirations to a career. Nevertheless, the uneasiness about the term ‘graphic design’ – not a new concern – is entirely justified. Since the mid-1990s, I have preferred to describe my own sphere of interest as ‘visual communication’, putting the emphasis on the visual outcome rather than the technical procedures involved in getting there. ‘Graphic design’ is a pallid, un-engaging description of the activity for anyone outside the design field and it has done little to stimulate public interest in graphic communication. Nor is visual communication the exclusive province of graphic designers as a professional group. One has only to look at graphic phenomena coming from other directions – fine artists, comic book artists, amateurs, vernacular sources – to find compelling alternative currents that suggest the inherent limitations of design industry-determined modes and standards of practice. I value graphic communication in all its variety more than I value the perpetuation of the graphic designer’s professional class and status. Here, an observation by Buchanan seemed especially germane. ‘Maybe we [designers] have been the victims of a social construction,’ he suggested. What I take this to mean is that professional identity, with all its institutionalised concerns and assumptions, can become a cage that restricts the occupant’s view of what else might be possible outside. Craft, touched on by Nick Bell in a recent post for the Eye blog, is a good example. Certainly graphic designers’ hard-won skills and careful attention to typographic detail are important, but too many graphic designers seem obsessed with finesse at the expense of understanding the social role and meaning of their work, and then thinking through their position in the cycle of visual production. If the work is meaningless noise bound for the landfill, who cares about its typographic refinement? Another point that struck me forcefully at ‘New Views 2’ – ostensibly a graphic design conference – is how little sign there was that speakers cared that much about visual communication. (Getting the chance to see the fruits of people’s research might have changed that impression.) While it is certainly necessary to rebalance graphic design along the lines just indicated, without a concern for the visual there won’t be much left. It is true that what Buchanan called ‘the sharp division among the disciplines of design’ has been limiting, especially for the ‘social construction’ of graphic design, which is often seen by practitioners and theorists of three-dimensional design as a lesser activity, pushed off to the margins in its own publications and organisations. Graphic design, if we continue to call it that for now, can only benefit from being regarded as a branch of design like any other, and many of its practitioners do have the ability to think about design in non-graphic ways. (Some have been proving it for decades, from Will Burtin’s science exhibits to Abram Games’s Cona coffee-maker.) Yet the essential purpose of graphic design is still to shape graphic form. Buchanan and others at ‘New Views 2’ no longer seem very interested in this task. But if it isn’t graphic design that these academic discontents want graphic design to do, then what is it they want it to do? Buchanan, who has just taken up a post in the business school at Case Western Reserve University in Cleveland, Ohio, enthused about the opening keynote lecture by Chris Downs, founding partner of Live / Work, a service design company. ‘Who is stealing design from the designers? And why is this the best thing that can possibly happen to the discipline?’ asked Downs. (To which one possible answer is: ‘be careful what you wish for, Chris.’) Services we encounter as customers should, of course, be planned properly, with their users in mind, and this might sometimes involve a graphic element. If they haven’t been ‘designed’ well until now, this is a failure of human awareness and common sense that must be laid squarely at the door of business, not designers. The fashionable focus on service design seen at ‘New Views 2’ doesn’t change the fact that life is richer, more interesting, more aesthetically stimulating and more efficient with visual communication carried out at the highest levels of creative intelligence. So, sure, it’s good to talk. By all means involve the client – hasn’t a good client relationship always been the goal of sensitive designers? Yes, the discipline needs to be more reflective – designers have said that for years. But, please, design educators: less masochism. There is still a graphic task out there that cries out to be done. ‘New Views 2’ took place at the London College of Communication on 9-11 July 2008.